Well back to work tomorrow )-; I was really enjoyed my six weeks off. Since I wasn’t able to do anything strenuous, no vacuuming, no heavy lifting, etc. (My hubby made sure of that). So I was able to play on my computer, craft, and sit and paint till my heart was content. It was like a long vacation. 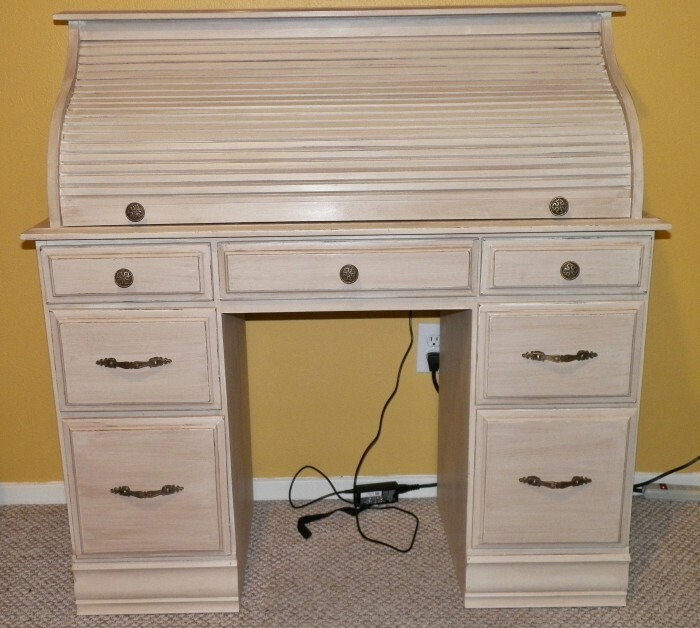 This is one of the projects that I just recently finished, a roll top desk that I picked up at a garage sale last summer for $5. 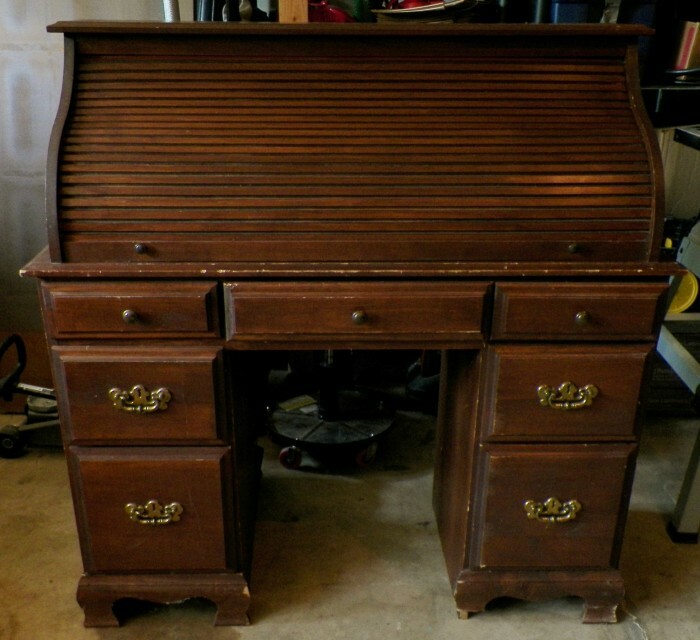 I couldn’t pass it up; I have always wanted a roll top desk. 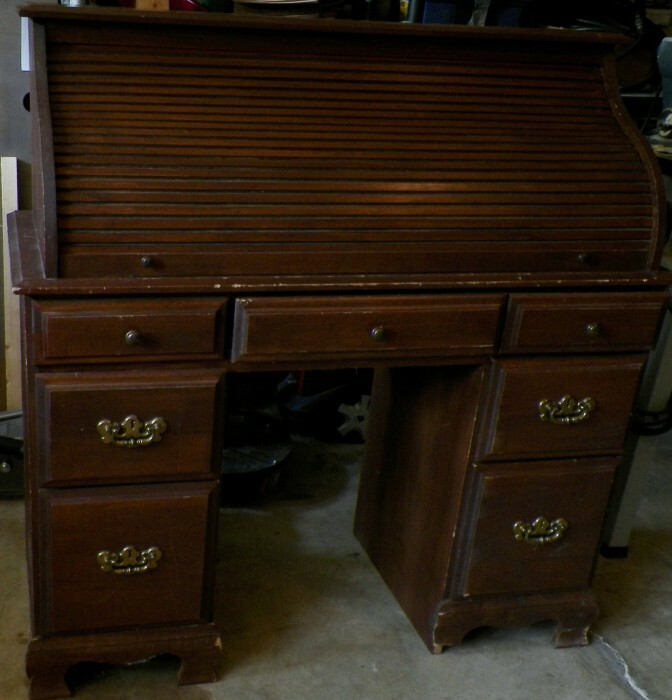 The only thing wrong with it was on the bottom right side the trim was broke. That was no problem to fix. 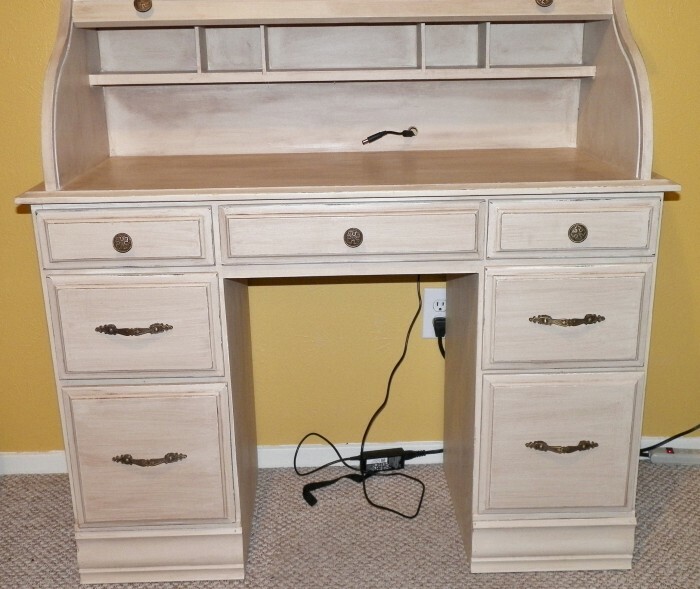 Once the trim was fixed, and the desk was cleaned up, and sanded, I used Annie Sloan antique white chalk paint. Once dry I applied a light distressing technique to give it an old, slightly worn appearance. Then I used Annie Sloan antiquing wax for protection and to give it a beautiful mellow antiquing matted finish. I really love how it turned out. I thought about painting it a darker color, but decided to go for the light. What do you think? Thank you Rob! I am sorry but I haven’t no idea when it was made, I picked it up at a yard sale. Linda I really love what you did with it. It looked so dated before with that dark color. 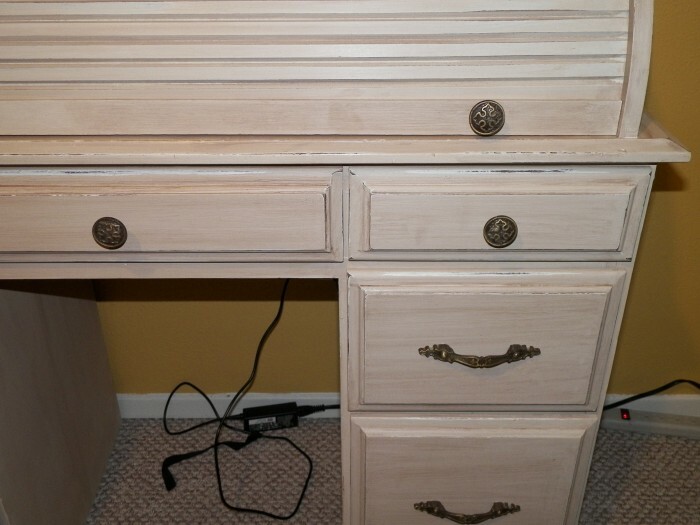 I say chalk paint to the resue! Much Much Better! Love it.